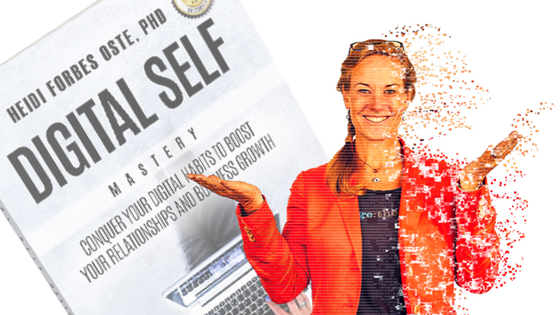 On this episode Dr. Heidi interviews Matthew Cooke about integration of mind body relationships and technology. For close to a decade, Matthew Cooke, the Founder and Creator of Body Based Breakthrough and The Supreme Performance Academy, has helped lone wolf entrepreneurs and start-ups get off the emotional roller coaster of entrepreneurship, and build sustainable high performance practices and habits, based on their cycles and rhythms. Through his background in neuroscience, movement and organization strategies, his Work Brings People Back to Themselves and their Biology, so they can live a Rich life, and create and contribute more to their industry. Want to see me live? Check out this great upcoming event hosted by my podcasting mentor and friend, Michael Neeley, an expert at building Authority. The type of Authority that once you have it, people are ready to work with you before they even speak with you. At this 3-day transformational business event, Michael will walk us through the Four Foundational Pillars of Authority and show us how to integrate them in a way that makes them exponentially more powerful. I'm will be there speaking about how podcasting has changed my business and life, too, and I'd love for you to join me! The current ticket price is $997. If you come as my guests, I have been able to arrange a couple of seats that are the cost of meal only! You can get in for just $97 (includes your meals & materials)! Join me at Your Authority Blueprint Live!